If you don’t know what Millennial Pink is, let me catch you up. You’ve probably seen it on your Instagram feed, on walls, and even in your drinks. It’s the color that has been taking over our social world for the past couple years. But like just about every trend, Millennial Pink is already being overthrown by something new – and it’s called Gen Z Yellow. The bold, mustard color has been all over the spring and summer 2017 runways, and now all over social media. The good news is that if you already committed yourself to pink and splurged on that pink velvet sofa, no worries. Gen Z Yellow and Millennial Pink actually go really well together (think pink lemonade). Here are some examples to get you inspired. The romantic Millennial Pink dining room in the top photo gets a pop of Gen Z Yellow dining chairs. The gold accents throughout the dining room also help to pull from the yellow tones. Notice how they went with a black and white rug so that it keeps everything in balance and doesn’t throw off the color scheme. 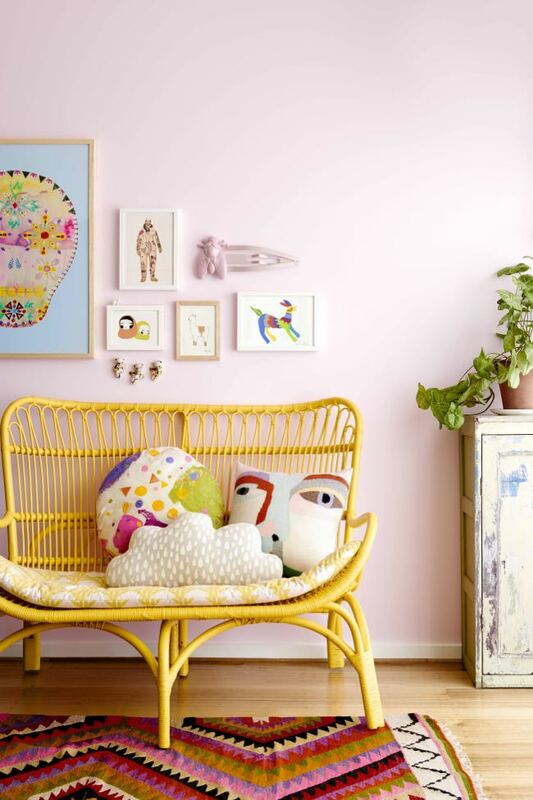 This yellow bench pops against the pale pink wall and helps to create a bright and airy space. 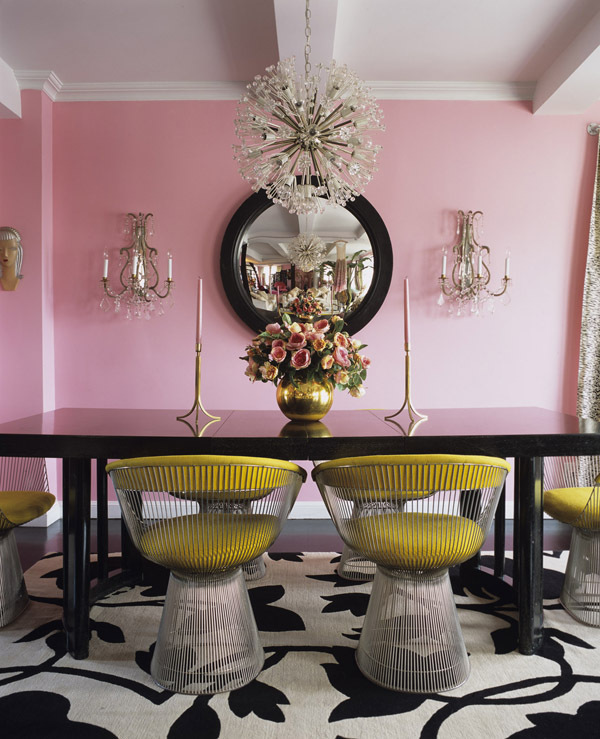 The rug also helps to pull together the subtle yellow and pink hues throughout the room. While Gen Z Yellow might be a hard color for you to initially digest, there’s an easy way out. Just start with small accent piece to add the color to your space. Something as simple as a throw pillow can make a huge difference. 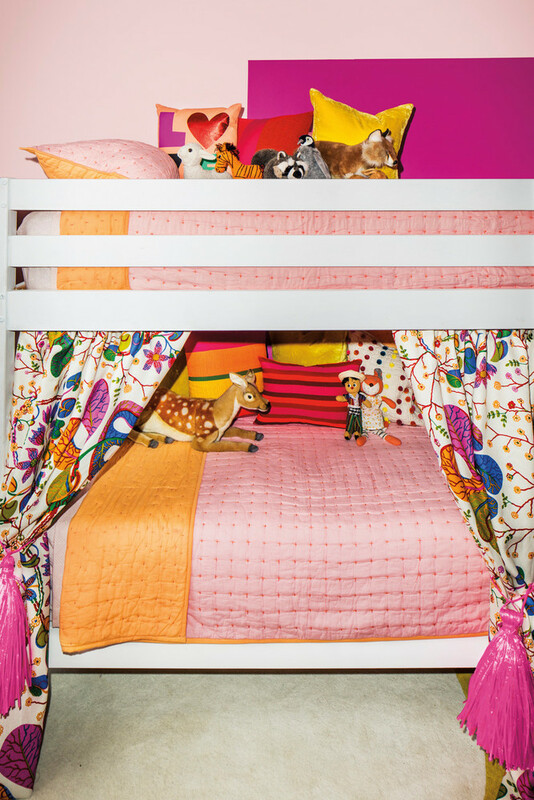 Children’s rooms are another perfect canvas to play around with this color duo. Incorporate a variety of pinks and yellows with different patterns and textures to get a fun, bright vibe that will keep the kids inspired. 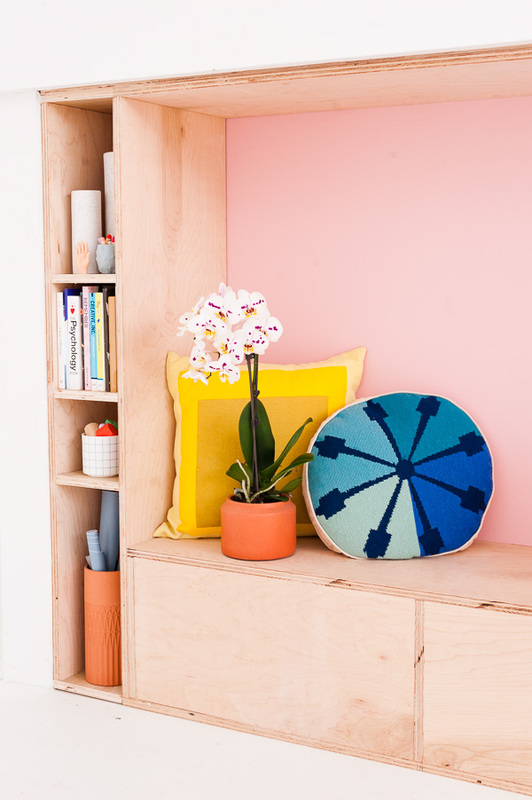 If you can’t find the perfect Millennial Pink or Gen Z Yellow for your space, fear not. Consider rolling up your sleeves to create a DIY piece to accent your home. You can paint the back of shelves to add pops of color or use dye to create the perfect yellow chair cover.